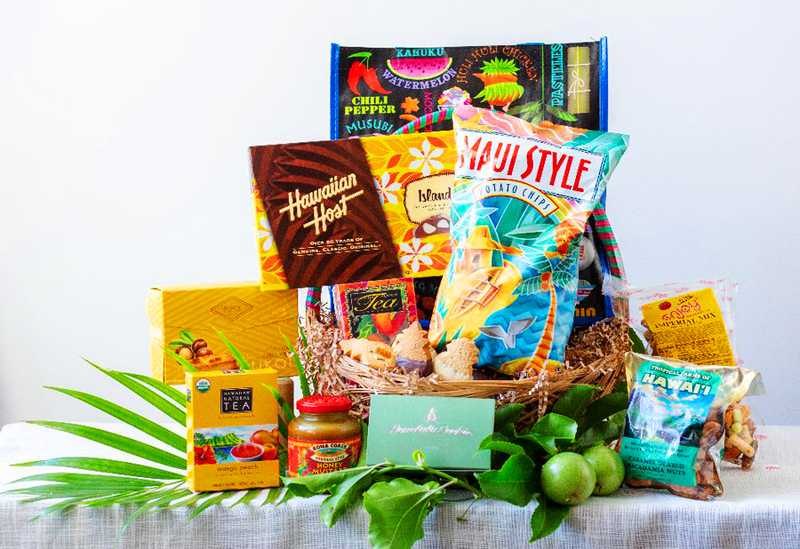 Treat a Hawaii newcomer with a basket filled with local Island favorites. Returning locals would also appreciate a “Welcome Home” surprise gift. Maui Style chips, Macadamia chocolates, Island flavored tea, locally flavored cookies, Macadamia nuts, and a local favorite, “Imperial Mix” (a crunchy Japanese style Party Mix). Includes a fun looking local Island Tote, handy for shopping or carrying your beach gear. For someone who needs a “pick-me-up”, what’s better than a French Press coffee maker and a bag of freshly ground coffee? 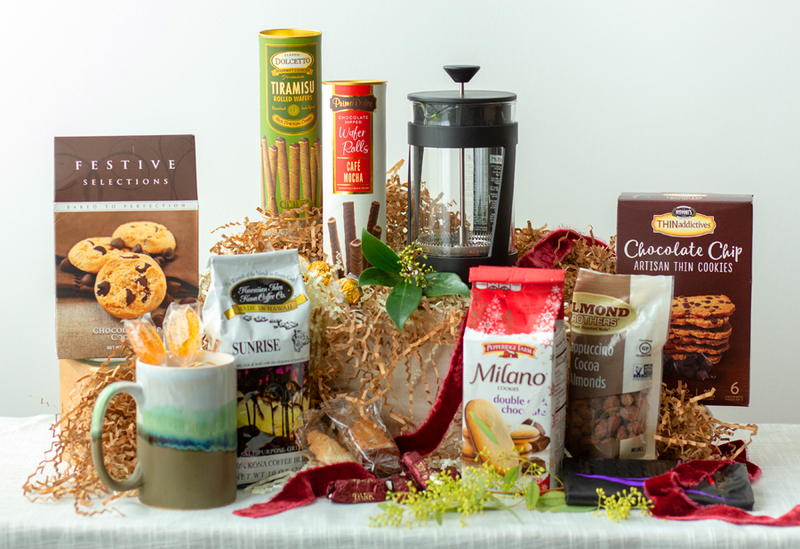 Your recipient can sit back, relax and sip the freshly brewed coffee poured in their new coffee mug with tempting treats. A French Press coffee maker and a new coffee mug. A honey stirrer to enhance the fresh coffee flavor. A delicious assortment of cookies and chocolates. This platter is perfect for any occasion. It will delight your friends and say a big “Thank You”. Or order this party favorite and get your party on! 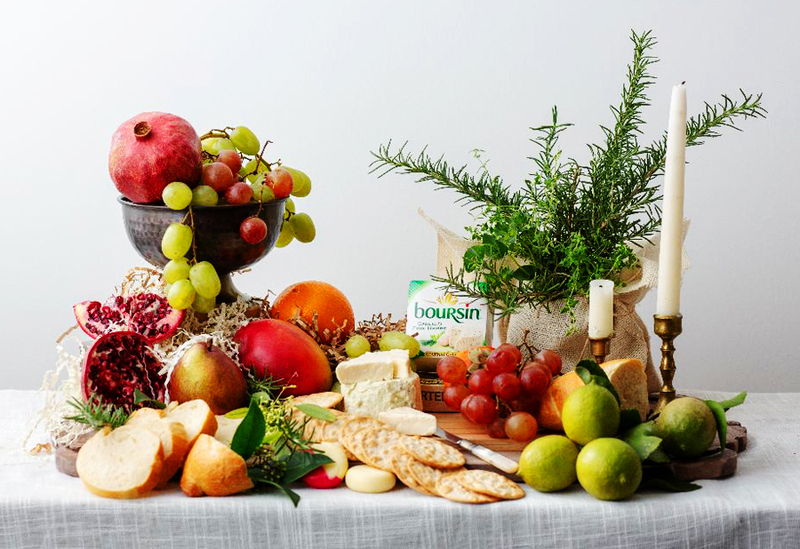 A delicious assortment of cheese and fruit presented on a cheese board. Ready for your recipient to enjoy or serve to your guests. Choose a fruit only basket filled with fresh seasonal fruits. Want to spice it up for an additional cost? Add Pate, Sausage, Salami or even Chocolates! 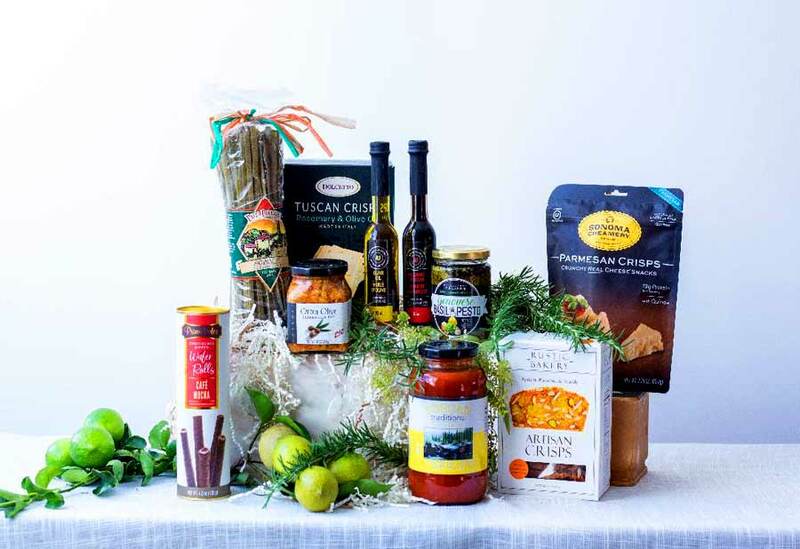 Surprise your family or friends with this scrumptious basket of ingredients for a genuine Italian get-together. Pasta, Italian Olive Oil and Basil pesto. Citrus Chile spread, Parmesan cheese and Artisian Chrisps. Tasty Italian Recipe pasta sauce, flavored with garlic (or any other flavor). Delicious Italian cookies or Biscotti to make the dinner complete. Chocolates or desert can be added for an additional fee. Mini Spa to Calm and Relax the Body! 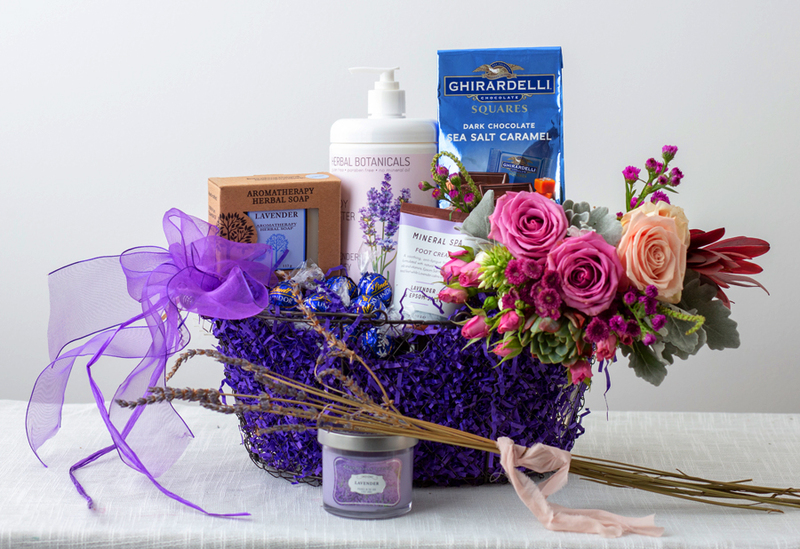 Who doesn’t deserve a little pampering – along with a bouquet of fragrant flowers to make that someone feel special? They can sit back and enjoy the fragrances. Indulge in eating chocolates, while dreaming of Provence. Lavender & Epson salt soothing foot cream. 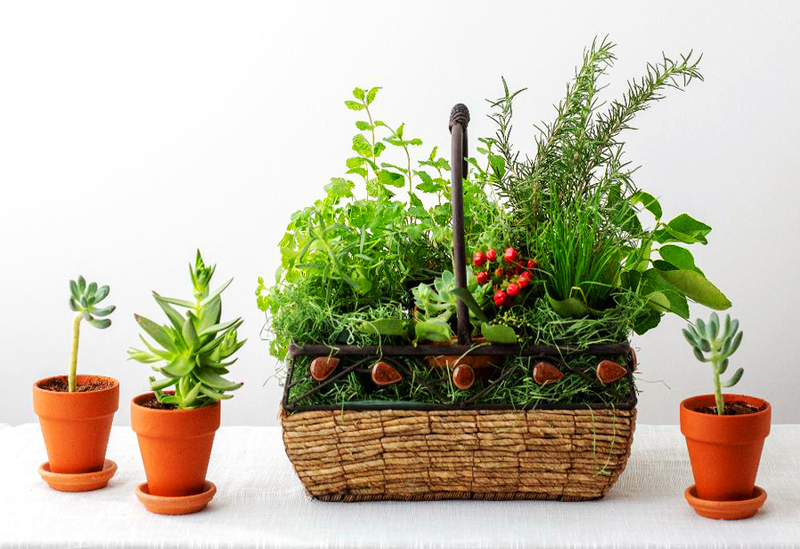 This woven Herb basket is a perfect House Warming gift. Who wouldn’t love to have an array of assorted fresh herbs right in their own kitchen? No one wants to run outside to the garden when it’s wet, dark and cold. Rosemary, Basil, Marjoram, Chives and Mint. Afternoon Tea anyone? 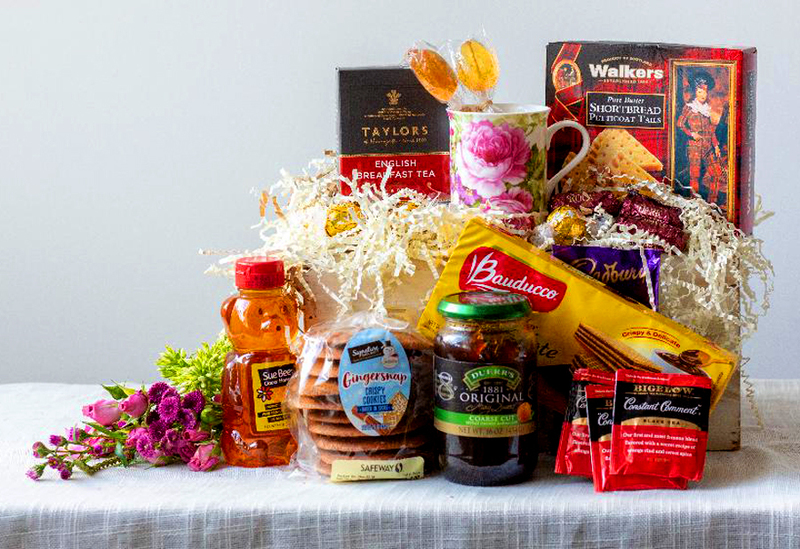 Indulge your English friends or introduce new friends to High Tea. Share this English tradition of relaxing with a cup of tea and nibbling on some tasty biscuits. Two types of English tea. An English china tea cup. Honey stirrers to add just a touch of sweetness to your tea. Walkers English Shortbread and Ginger Snaps. Marmalade, Honey and Cadburys chocolate.